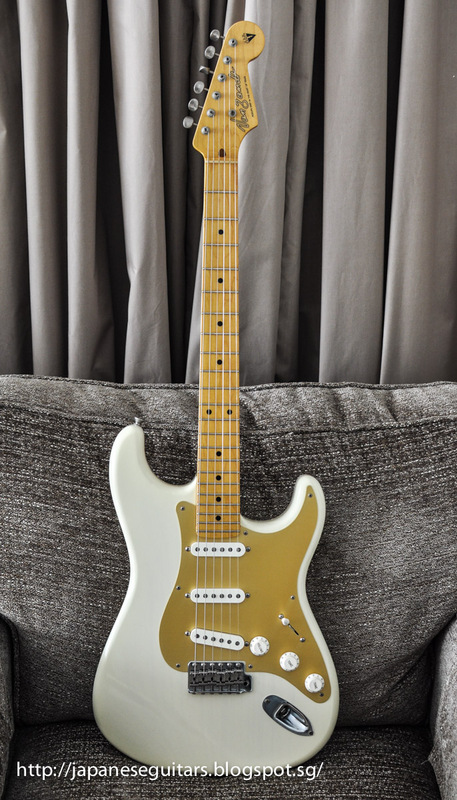 This recent addition is a VanZandt- brand Stratocaster model made for the Taurus corporation in Japan by manufacturer PGM (Professional Guitar Manufacture). I can't find any official page for PGM but the linked store has some pictures and Japanese info. 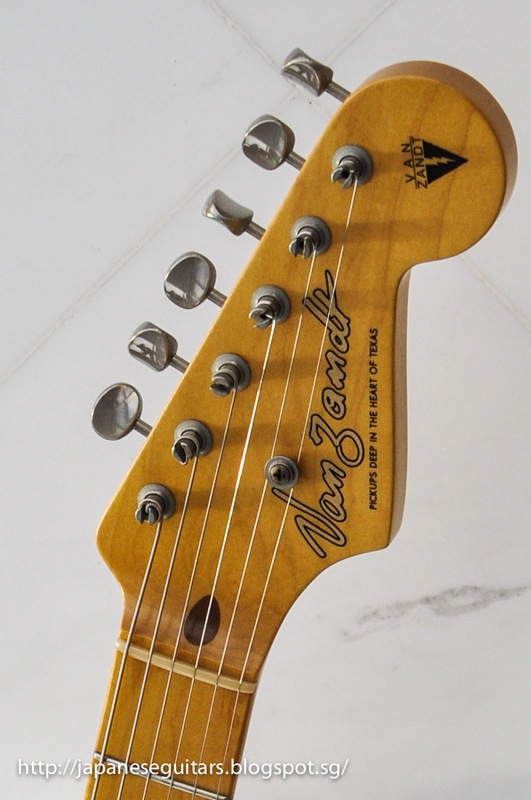 Taurus distributes several brands of musical equipment in Japan including VanZandt pickups. I got this one used in near mint condition from the good folks at A.T. Style guitars in Saitama, Japan. This particular one has 22 frets, a 9 inch radius fretboard and larger frets than the vintage-correct ones which makes it easier to play with a lower action. 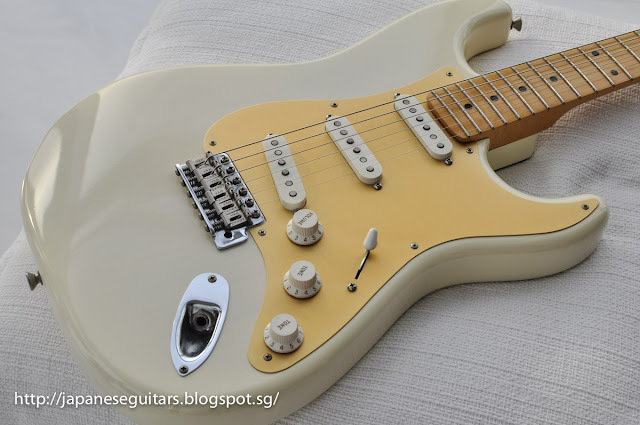 It reminds me a bit of David Gilmour's mystery strat from the 50's. The "vintage" VanZant pickups are excellent lower output strat pickups and the noise level is very low for single pickups. Perhaps the aluminum pickguard has a lot to do with that. I can't find anything at all about this guitar that I would change other than it would be nice if they came with a hard case for the list price ($3000 or so US equivalent). From what I can tell the VanZandt guitar line has been going for about 20 years. 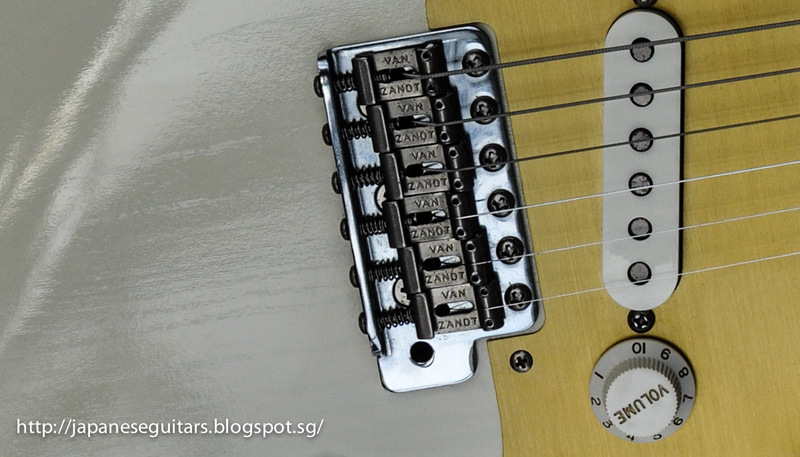 They have no real low-end guitars as almost all are made with top quality materials. 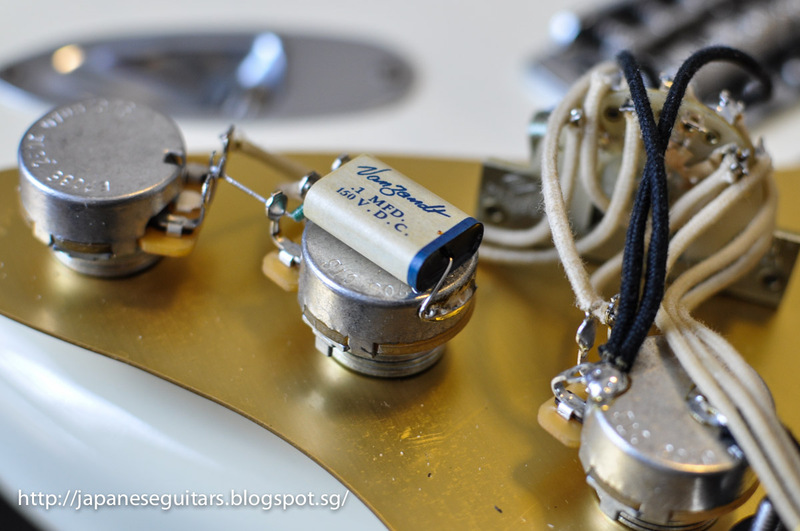 Lots of the older rosewood-board strats/teles use Brazilian rosewood. You can see the thin nitro finish that shows the grain of the ash body. No thick-finish Fender lacquer here. Part II coming soon - VanZandt gold.